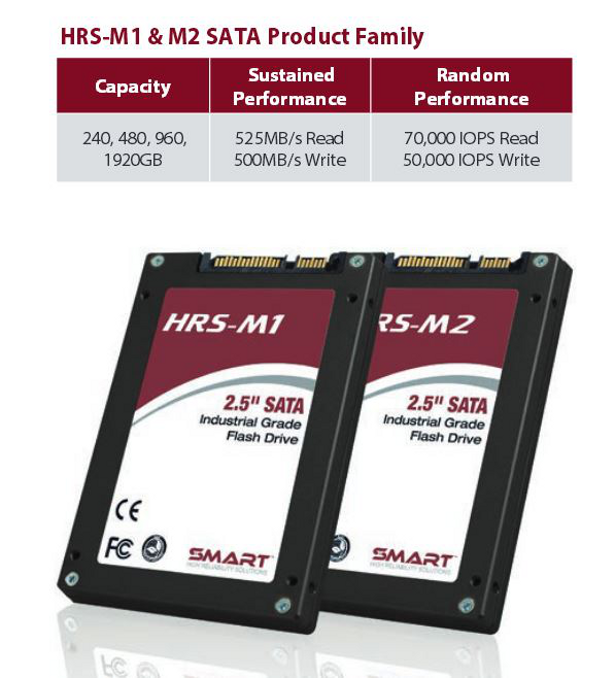 SMART High Reliability Solutions is announcing their latest 2.5” SATA 6Gb/s SSD, designated as the HRS-M1. Highlighting SMART HRS’s exclusive focus on highly ruggedized, highly secure and highly reliable solid-state storage solutions, the HRS-M1 comes housed in a high-strength and industrial designed enclosure to protect the components from harsh environments. 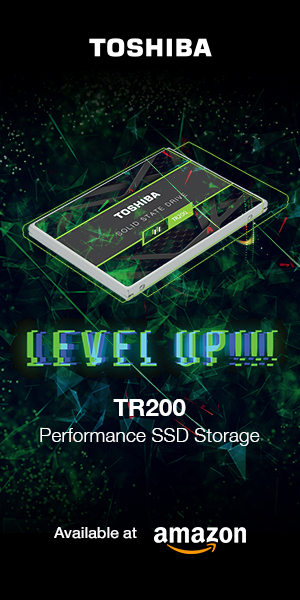 Key markets for these SSDs include aerospace, defense and industrial applications. The HRS-M1 is engineered and validated per the MIL-STD-810 standard to operate in high shock and high vibration usage scenarios, and at industrial operating temperature ranges from -40°C to +85°C, as well as being certified for altitudes of up to 80,000 ft.
HRS-M1 features data retention capabilities of over 10 years at 25°C, as well as error correction of up to 28 bits for every 1024 bytes, and end-to-end cyclic redundancy check (RDC) protection to prevent data corruption over the entire data path. The new HRS-M1 utilizes AES 256-bit encryption, protecting data written to the drive. If a user requires a quick erase, it can be executed via the standard ATA-8 security erase function. The drive also features S.M.A.R.T. drive health and performance monitoring attributes. The HRS-M1 provides sequential read speeds of up to 525MB/s, and sequential write speeds of up to 500MB/s. Random 4K read speeds are stated as up to 70,000 IOPS, with random 4K write speeds stated as up to 50,000 IOPS. The HRS-M1 is being offered in capacities of 240GB, 480GB, 960GB and 1.92TB, all with cost-effective MLC NAND a one-year limited warranty. Mean time between failures (MTBF) is stated as 2,000,000 hours. SMART HRS will be showcasing the new HRS-M1 SSD, as well as their other defense and industrial SSD offerings at the International Telemetering Conference and Exhibition in Glendale, AZ. This event will be held form 11/7/16 through 11/10/16 at the Renaissance Hotel & Spa. You can visit SMART HRS at booth #414. For more information, you can view the HRS-M1 product page here, and the press release announcing it in its entirety here. Is this a Seagate Sandforce controller? Looks somewhat like Intel 520 specs. When is Seagate going to unleash Sandforce? Were waiting. How many years have Seagate had Sandforce where are the ssds? SMART HRS does not specify what controller is used. However, the enterprise versions of the Sandforce SF3700 series are only rated for maximum sequential read speeds of up to 500MB/s through a SATA 6Gb/s interface. 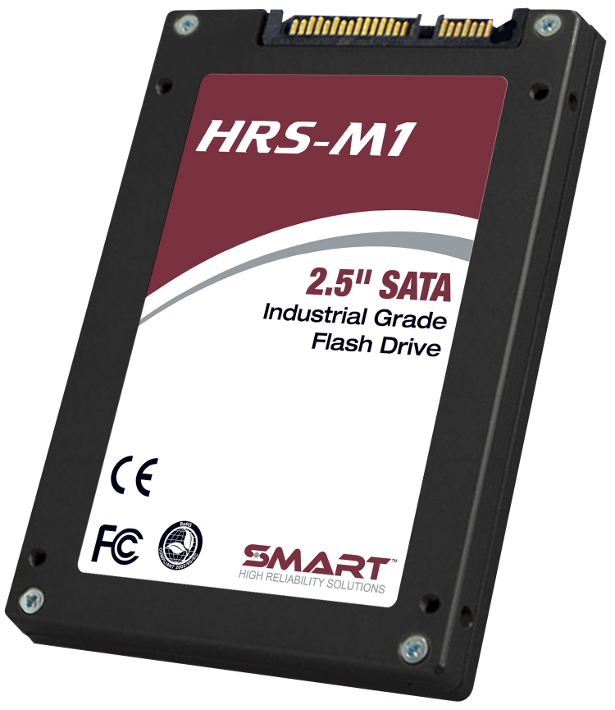 The HRS-M1 is rated for up to 525MB/s. Not likely a Sandforce controller being used. 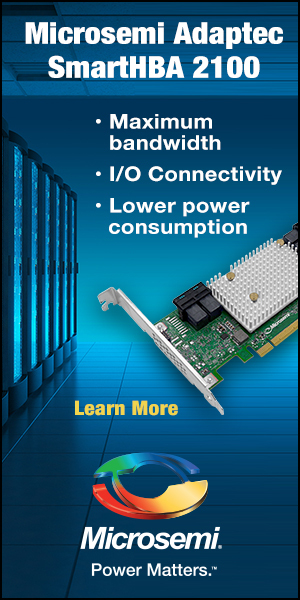 Also no mention of power loss protection for a “High Reliability System” or the actual NAND source used adds to the perception that this is a piece of marketing fluff. Yet another mildly modified press release via TSR. It would be nice if useful added value information like that was included. Until it is this thing is a “mystery pig in a poke”.